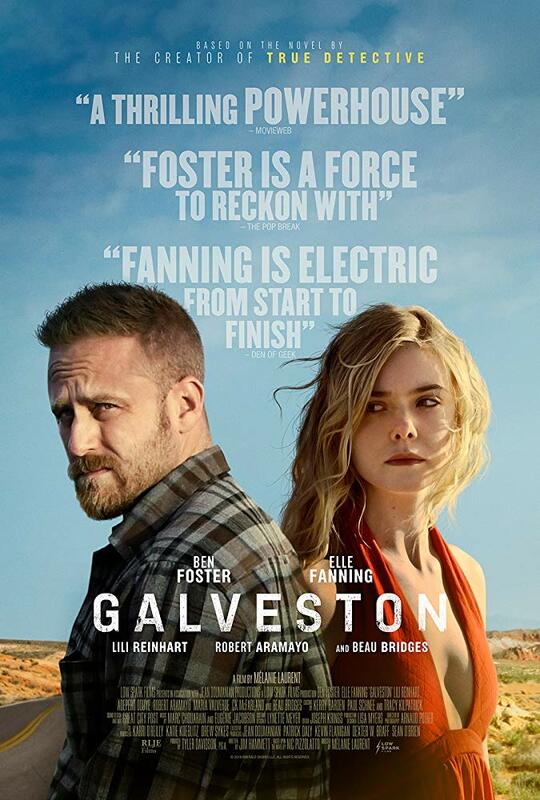 Mélanie Laurent Goes Gloriously Bold with GALVESTON! The list of cinematic mythologies that have artfully depicted the various sides of Texas is long and distinguished. From the tales of the old west told by John Ford or Larry McMurtry's "Lonesome Dove", all the way to the more contemporary Richard Linklater with "Dazed and Confused" and Jason Reitman's "Men, Women and Children"; the narratives are ever changing just as the population and landscapes evolve (or devolve) from decade to decade and city to city. Mélanie Laurent is the latest auteur to embrace a new vision of a small corner of the Lone Star State in a tale that is equal parts bold and merciless. "Galveston", based on "True Detective" Nic Pizzolatto's novel of the same name, is a Texas noir that doesn't seem to be beholden to the styles of any other filmmaker other than those of Laurent. In the same way that John Ford had enlisted the talents of Mexican cinematographer Gabriel Figueroa to give an entirely new look to western's with his "Figueroa Skies", Mélanie Laurent and Cinematographer Arnaud Potier bring a new look and feel to the Gulf coast that is completely unique on the big screen, but almost surreal in its accuracy to the beautiful and ugly realities of the region and its people. With foreign eyes, they are able to look at people and places in a way that would be far too ordinary for anyone of Texas, or maybe even the country. They are able to see and have an honest, unbiased perspective that feels entirely new in its familiarity. The people and the places in this film are those that you may not know but feel like those that you pass by when walking down a sidewalk or filling up at a convenience store. An oddity and a testament to the dramatic stories that may lay beyond our limited scope. Laurent's thespians of choice to pull off the interpretation of this gritty tome are the ever-talented Ben Foster, Elle Fanning, and Beau Bridges. Foster is in excellent form as Roy, the gun for hire on the run from the one that does the hiring; a perfectly cast Beau Bridges as Stan. To round out the cast is Elle Fanning in her best performance since "Neon Demon" as Raquel, but goes by Rocky. Rocky is an 18-year-old prostitute that Roy saves while trying to escape his near execution at the hands of Stan's hitmen. Once out of imminent danger the two start their trek to Roy's hometown of Galveston. Before hitting Galveston they make one last stop to pick up Rocky's sister. There is so much more involved in all of this, but I would be ruining so much for you to spill anymore. Whatever the filmmakers wanted you to have, they put in the trailer, which in itself is perfect in what it leaves in and leaves out. This is a movie that I do not think will be a huge hit in the beginning, but will have legs over time. The film is brutal. You feel every punch, car wreck, heartbreak, and raw emotion. It is a play on all senses. This is a film to share with friends. A true cult classic, or maybe just a classic. Either way, Mélanie Laurent is a talent to be watched for the foreseeable future. 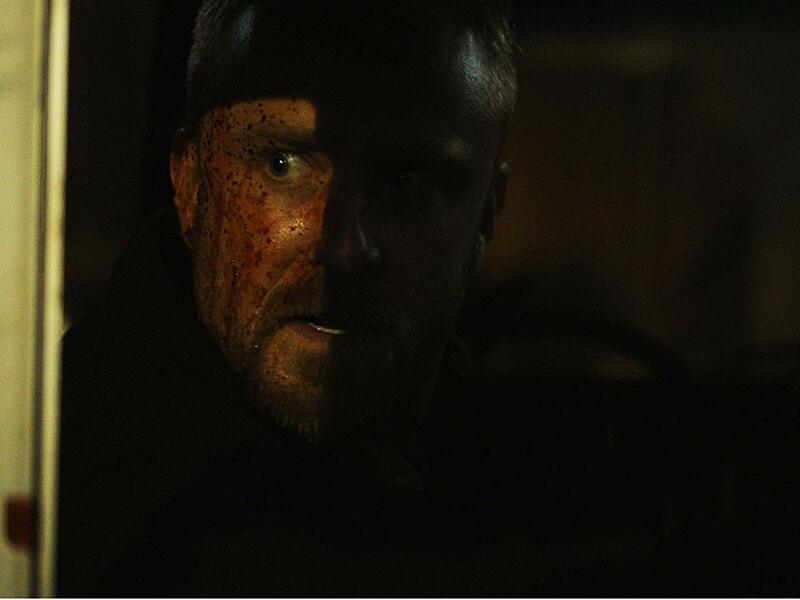 GALVESTON is out now on VOD, Digital HD, and in select theaters.